We talked about google+ team was accepting registrations for the Google Plus Api in an earlier post. Now exactly after a month, google+ team has notified all signed up developers that V1(Version1) of Google+ api is ready and available to download, cool huh!! This was one of the hottest requested feature in Google+ by developers. Rumors were circling around the internet that it might take weeks or even months before developers get hands on the api. They even went saying only a small pool of developers will be selected as beta testers and will be given access. Google+ team has put all those rumors to rest by releasing V1 of Google+ api just in time. Google+ team has published a google plus developer site primarily focused on the the google+ development. Google+ team has also published a Google+ Best Practices guide. In the Google+ platform download page you will find client libraries and starter projects for your favorite languages : Java(Android, AppEngine), GWT, .net (dotnet), Python, PHP, Ruby & Objective-C (iPhone). We’ll cover news and information about Google+ apis as an when they arrive. 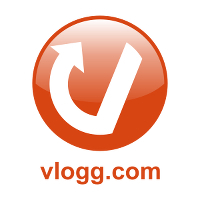 You can also follow google plus team blog for up to date information. Got a question or an issue with Google+ developers platform, here is a google+ developers group to discuss about issues. We agree that you can’t do a lot with just two pieces of information i.e People and Activities. But this is just the beginning, looks like these API’s were released quickly inorder for the developers to get started with the Google+ development platform. We hope more and more features to be added quickly and sky is the limit for developers. We are excited to see what developers come up with these api’s. We wish to thank the google+ team for providing quick access to these api’s on behalf of the developers.